You will have seen from recent announcements between myself and Snugpak and our continued collaboration with each other with myself now as part of the team as a brand ambassador. I’m very proud to continue this working with Snugpak whom I’ve relied on for many years now for my outdoor kit but as asked last week by the Snugpak team on social media when did you (I) first discover Snugpak? 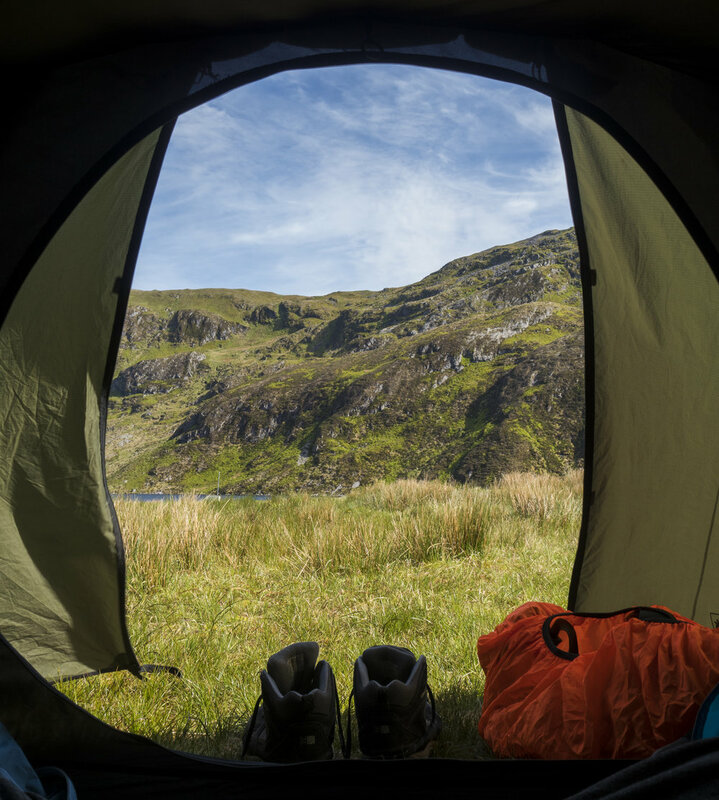 I first discovered Snugpak back in 2015/2016 whilst on my own Duke of Edinburgh Gold expeditions who were run by Expedition Wales. The team at ExpedWales had selected Snugpak’s highly popular Scorpion tents because they were robust, 4-season, easy to repair and cheaper compared to similar tents of its range which were upwards of £600+ a tent and when putting in bulk orders of 10+ tents cost is going to be a factor and even more so when you will be taking the tents out 6, 7 even up to 10 times a month for 8 months of the year and being left with a group of teenagers in the wilds of Wales the tents better hold up on their own and withstand the conditions and mistreatment in the field. Above: Pumlumon Fawr, Cambrian Mountains, Wales - 600m base camp with the clear skies but high winds the tents were extremely stable and protecting us from winds on the highest peak in the region. Below: Same location but looking towards the peak - This is my winning photograph from the 2016 MyTentView in collaboration with MyOutdoors and Terra Nova equipment which was one of the starting conversations I had with MyOutdoors which has led me to continue working with the team as a equipment reviewer. As a Scout leader myself at the time I likely appreciated the quality of the tents more than the others in the exped team, having to run similar gigs myself in the same manner with cost being the biggest driver. Snugpak’s Scorpion II or III tents and the Vango Banshee tents. Both of which I can speak for from experience being used by hundreds of teenagers across the year on exped in remote locations, in varied conditions and the only causalities we’d typically get at the end of an exped is pegs. Fast forward two years and my Snugpak kit has grown considerably using clothing as well as the camping equipment but still to this date my favourite item from the brand is the Scorpion II tent.